The Australian Alps has hundreds of fantastic trails. The iconic long distance trail is the Australian Alps Walking Track, which stretches from Walhalla, east of Melbourne, almost to Canberra. The AAWT was created in stages, starting with the Victorian Alpine Walking Track, which was developed in the 1970s as part of a larger vision of linking the Australian Alps with a three-state trail. The dream of a long distance track was only fulfilled after years of work and a lot of ‘big picture’ thinking by many people. Now there are plans to extend the track network all the way to Melbourne and right into Canberra. There are two alternatives for the track from Melbourne, and a proposed route into Canberra, which are outlined below. This well researched proposal identifies gaps in existing tracks and a number of options for connecting up with the existing AAWT. Help clean up the Australian Alps Walking Track where it traverses the Baw Baw plateau. There will be a variety of work to undertake, requiring a range of skills and experience, including chainsawing, brush cutting, clearing debris, transporting equipment and fuel, clearing water bars and replacing/adding track markers. Parks Victoria will supply all food and water, so please provide us with the days you will attend and any special dietary requirements. You will need to bring all your camping gear (tent, sleeping bag and mat etc.). We will camp at Jeep Flat Track, a short walk from the Mt St Gwinear carpark. Remember, we will be in alpine conditions, so bring appropriate clothing. Come for a day or stay the entire four days. To help with planning and catering please book by Thursday 16 February. The Australian Alps Walking Track, formerly called the Alpine Walking Track, stretches more than 600 kilometres through the mountains of Victoria and New South Wales. Isabel Brown is planning to walk the track to raise awareness about the treatment of refugees in mandatory Detention in Australia. Conservation Volunteers have two Australian Alps Walking Track (AAWT) projects remaining for the 2014/15 season, with some spaces left on the respective teams. Work involves Track definition and surfacing using rubber tiles, and creating drains. This will involve a mix of track clearing, brushcutting, drainage installation, and track marking. If you are interested it will be fantastic to hear from you. To express interest, please contact Adam via email, on 03 54440777 or on 0427 507 004. Conservation Volunteers Australia (CVA) and Parks Victoria are embarking on their 3rd year of a joint maintenance program of the Australian Alps Walking Track from November 2014 to mid-March 2015. They are looking for fit and strong outdoor volunteers to join the program, committing 6 days to support the track maintenance activity. Ross Grant, Parks Victoria Ranger in Charge, says the volunteers will be working in some of Victoria’s most spectacular scenic locations on a variety of projects. This trip is from several years ago but remains an impressive effort: a traverse of the Alpine Walking Track (AWT) from near Canberra through to Walhalla in winter. This short video gives some highlights of a trip done in 2005 by two brothers, Andrew and Mark Oates. The main ranges images are lovely, but it’s the earlier stages of slogging through the wet plains of the northern Snowies and fording flooded rivers that is perhaps the most impressive. Our first seven days involved walking and carrying our skis, with pack weights around 35 kg. We first put on our skis just after Kiandra and apart from one or two days of pure walking we were able to ski most of the way from there to Hotham. A 60 cm dump of light dry snow near Thredbo helped keep us on our skis but it also made the first few days afterwards extremely challenging. Even with the fattest touring skis available we were still sinking at times thigh deep in snow with our skis on. After crossing the three highest peaks in the ACT, NSW and Victoria we reached Hotham after four weeks. 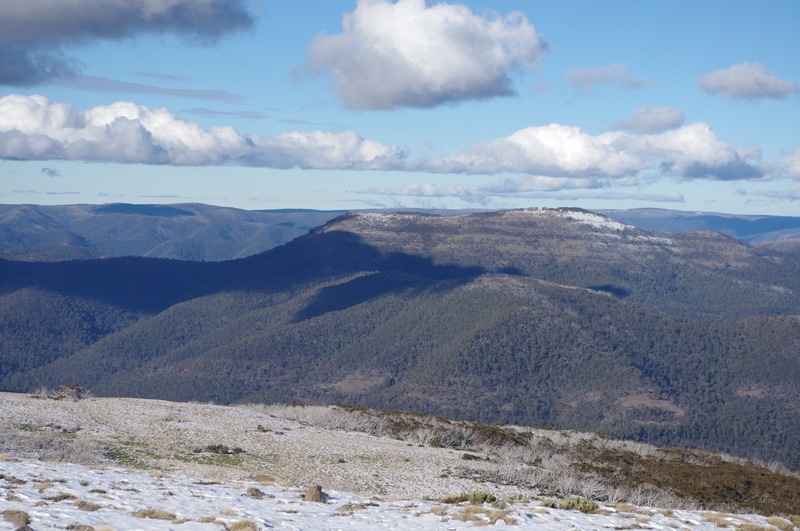 Unfortunately though the snow did not last – our fifth week out, from Hotham to Howitt saw us experiencing a week of solid rain and strong winds. This resulted in much of the existing snow along the remainder of our route melting away before our eyes. There is a 4min 40 sec short version of their adventure available here. Check Mark Oates vimeo page for the 2 longer videos. He also has a youtube page. The AWT remains the quintessential trail through the Australian Alps, and at 680 km in length remains a committing project with complex logistics, because of the need for multiple food drops along the route. You can find some extra info on the track here. Conservation Volunteers Australia and Parks Victoria are calling out for volunteers to help restore remote sections of the 650-kilometre Australian Alps Walking Track. Last summer saw helpers spend 120 days in Alpine National Park Across repairing 23 kilometres of track, laying 930 metres of rubber matting and installing eight water bars to prevent erosion at locations including The Knobs, Mount Sunday and Mount McDonald. Park ranger Nigel Watts said: “It’s a win-win situation for us and for them; an opportunity to get out into the Alps, help with managing this area and enjoy this beautiful landscape. The first three projects in Januray and February are rated easy walking but require volunteers who are especially fit and strong to lay rubber tiles and use heavy mattocks over five full days. Accommodation will be provided in Falls Creek.The track work is all on the Bogong High Plains. The last three projects in March and April are rated hard walking, and involve remote camping in the King Billy/ Mt Magdala/ Mount Clear/Knobs areas. Peter Hosking, 31 lives near Jindabyne in the Snowy Mountains. 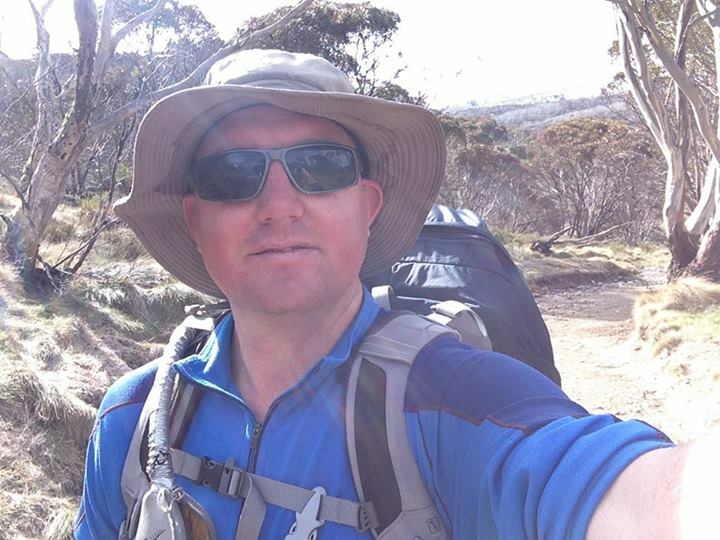 In the summer of 2014/15 Peter will be trekking from Walhalla in Victoria to Tharwa in the ACT. He will be walking along the Australian Alps Walking Track (AAWT), to raise money and awareness for Autism. After nearly losing my life in a blizzard in 2012 and being a sufferer of ASD, I want to raise money for Aspergers and Autism. My cousin is full autistic. I want to raise awareness not just for Autism but also for anyone who wants to go into the backcountry, to be prepared for all weather conditions and eventualities. My intention is to raise awareness for ASD sufferers so the general public see our condition in a positive not negative or “taboo”. You can find out more, and support the walk via his website.